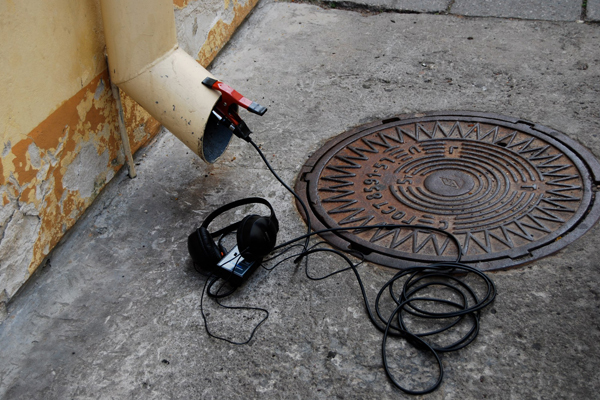 Tuned City is a research platform from Berlin that creates a dialogue between the worlds of architecture, city planning and sound art, trying to use the possibilities of the spacial and communicative properties of sound as an instrument in artistic and urban practices. Q-O2, a workplace for experimental music and sound art, invites Tuned City to Brussels in 2013. The aim is studying the given urban and architectural situation, and experiencing and evaluating the city from an acoustic point of view. During Artefact, Felicity Ford (UK), Peter Cusack (UK) and CRESSON / Pascal Amphoux (FR) present their different views on the relation between city and sound, preceded by sound walks through Leuven. Two walks start at STUK’s ticket office at 19:00, the lectures and presentations start at 20:30 in STUK Soetezaal.